Police say a young female was grabbed by two men while walking to school near McClymont Park Trail in Prince Rupert between 8:30 AM and 9 AM in the 300 block of Sherbrooke Ave. Both suspected of being in their mid teens to early 20’s. 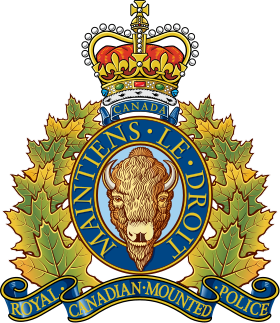 The Prince Rupert RCMP is investigating this crime and have used the assistance of the Terrace Police Dog Service who assisted in collecting some evidence that was located on the trail. Police continue to work with the family to identify possible suspects. Investigators are interested in speaking with the woman who interrupted the attack to come forward to provide information with to this incident. If you or someone you know has information with respect to this crime, please contact the Prince Rupert RCMP at 250-627-0700 or phone Crimestoppers at 1-800-222-8477.